It is preferred to install the OVF\OVA using the webclient but in this blog we can see the OVA deployment using the vClient . Download the latest version and navigate to the location to select the OVA..
Next it will show the OVF Template Details . Select the Name and the Inventory Location. 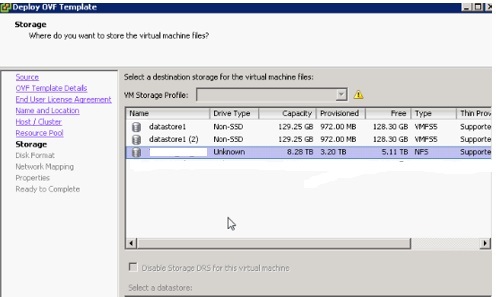 Select the Host / Cluster. Network Mapping – Select the appropriate Network. Next provide the Admin Password \ Host Names \ DNS \ NTP Details. Once all the configuration is done , It will show the configuration details..
Login in to the VM Console and also the web client to verify the configuration. 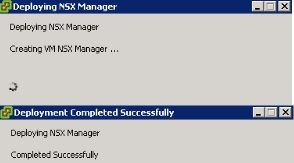 Next Blog we can see the configuring the vCenter Server to the NSX Manager. 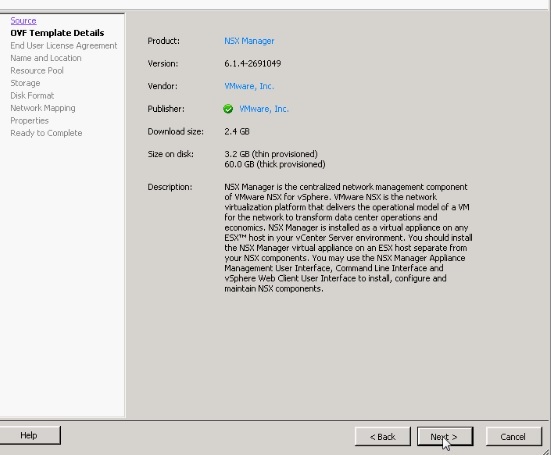 This entry was posted in NSX 6.1.4, Vcenter Appliance, VMware and tagged NSX 6.1.4, NSX Installation, NSX Manager. Bookmark the permalink.